Kathy is a paralegal in the firm's Business Restructuring and Bankruptcy Group. She has extensive bankruptcy experience and knowledge of both Chapter 7 and 11 and provides procedural expertise and support to our attorneys, clients, and creditors. Her responsibilities include all facets of bankruptcy on behalf of our trustee, creditor, and debtor clients throughout the nation as well as the federal receivership practice area. Additionally, Kathy is proficient in claims analysis and objections, Chapter 11 U.S. Trustee Monthly Operating Report review, preference litigation, case status review, due diligence, online information retrieval, asset searches, discovery, and document management. 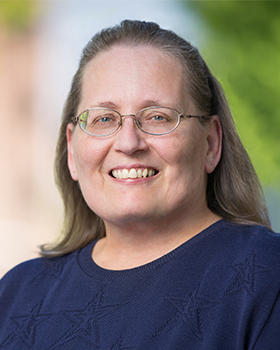 Kathy is a member of the Oregon Paralegal Association (OPA) and the National Federation of Paralegal Associations, Inc. (NFPA).